What is the matter made of? This printable booklet requires students to determine what the matter is made of and which state of matter it is. 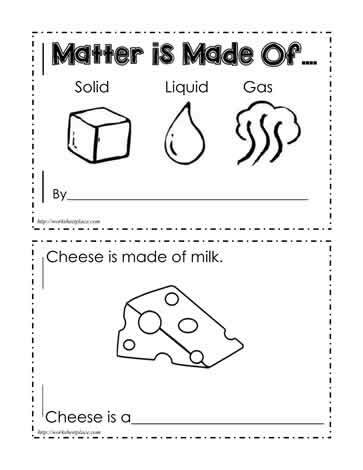 A printable booklet about matter for grade 1 science.